I got home to Silver Spring from Tucson Saturday night. What did I do my first day home on Sunday? Start making Christmas cookies of course. This will continue for the next two weeks in my home. We'll play traditional choral Christmas carols on the speakers, and my mom and I will bake. They're not kidding: It's the most wonderful time of the year. 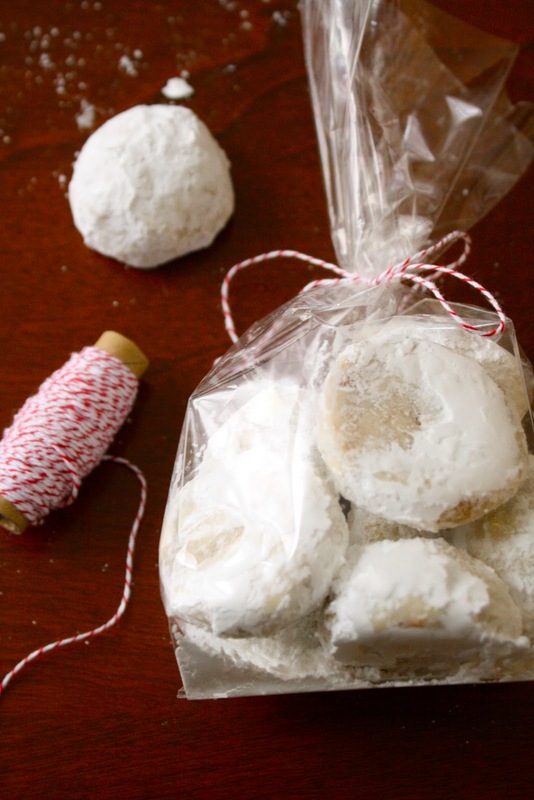 These Snowball Cookies are a childhood favorite. Our old neighbors and family friends the Sebastians would make these every year and serve them with peppermint ice cream. They are a spin off of Polvorones, or Mexican wedding cookies. I dare you to only eat one. These little guys just melt in your mouth while the nutty pecan flavor lingers on. Oh, and you'll be covered in powdered sugar. If you can spare to share, these make a great little gift all packaged up in a cellophane bag. The Christmas Cookie Season has begun! Stay tuned for more cookie recipes this week and next. Using electric mixer, beat butter in large bowl until light and fluffy. Add 1/2 cup powdered sugar and vanilla; beat until well blended. Beat in flour, then pecans. 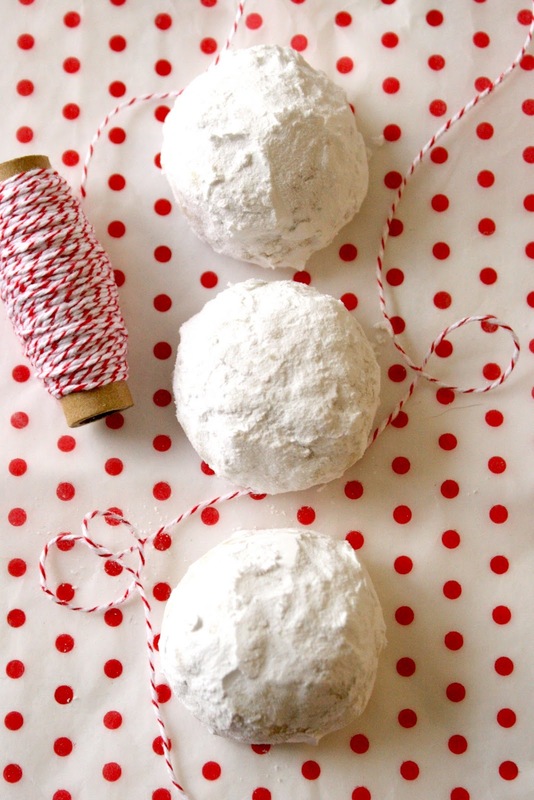 Divide dough in half and form each half into ball. Wrap balls separately in plastic. Chill until cold, about 30 minutes. Preheat oven to 350°F. Whisk remaining 1 1/2 cups powdered sugar in a shallow bowl or dish. Set aside. Working with half of chilled dough, roll dough by 2 teaspoonfuls between palms into balls. Arrange balls on heavy large baking sheet, spacing 1/2 inch apart. Bake cookies until golden brown on bottom and just pale golden on top, about 18 minutes. Cool cookies 5 minutes on baking sheet. Gently toss warm cookies in sugar to coat completely. Transfer coated cookies to rack and cool completely. Repeat procedure with remaining half of dough. Cookies can be prepared 2 days ahead. Store airtight at room temperature. How fabulous and festive are these! Love the twine too. Thank you Meghan for sharing the recipe...Happy Holidays to you & yours! I'm excited to try making these tomorrow! @Ali - Hooray! I hope you're surviving med school and having a blast!!! I totaly gonna try to make it!